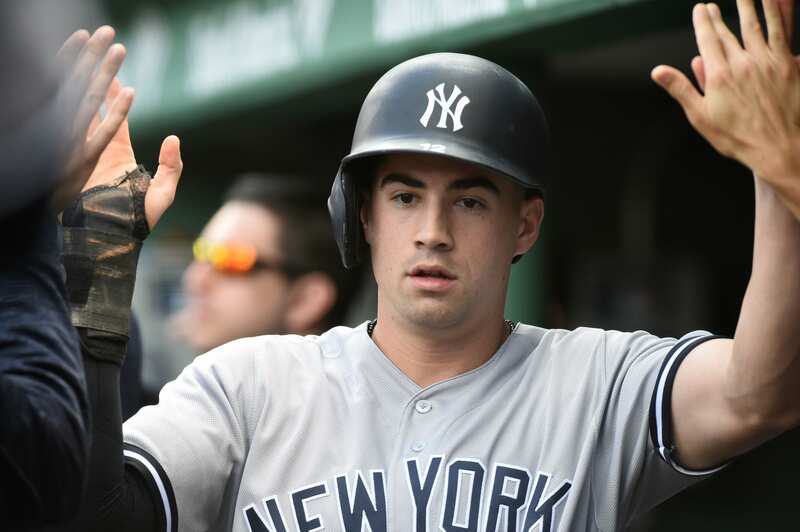 In what was a surprising move on Saturday, the New York Yankees traded left hand pitcher Phillip Diehl to the Colorado Rockies for outfielder Mike Tauchman. With that move, the Yankees placed Jordan Montgomery on the 60 day IL and sent Tyler Wade to AAA. This is a surprising move for a number of reasons, and unfair to Wade who had a fantastic spring. Mike Tauchman is a 28 year old lefty outfielder who was drafted in the 10th round by the Rockies. He attended Bradley University in his home state of Illinois. Tauchman has struggled in his limited time in the MLB, batting just .253 in 59 career at-bats. His WAR is at -0.8 and his slugging percentage is only at .203. It isn’t like he had a great spring either, he only hit .196 in 46 at-bats. The player they gave up in the trade, Phillip Diehl, had a pretty solid spring. He had a 4.50 ERA, which may seem kinda high, but this is the highest level he has pitched at in his career, only seeing limited time in AA last season. He started to come up on the Yankees radar for a possible option in two or so years out of the bullpen, but obviously that isn’t the case anymore. Though he has also struggled in the MLB, Tyler Wade had a fantastic spring and deserves to be on the opening day roster. Instead, he will be watching from the clubhouse in Scranton. He hit .312 this spring with a .532 slugging percentage, and is very versatile. The team had also used him in pinch-running situations and he can steal bases. The poor kid was looking for another shot and deserved it, but now has to get off to a good start in AAA. With injuries already a theme in 2019, there is likely a good chance he will be up again in a matter of time.